$1200 in gifts from the participants. Wednesday. Please call the chamber at 850-2523 for your registration form. Parade entry is FREE. GLOW…. enjoy the time with Christmas Caroling from the Moriarty High School Choir, and hot chocolate and coffee and goodies sold by non profits to help keep you warm. We are hoping that this event becomes Edgewood’s Holiday Tradition, beginning this year.. please participate, bring your friends and family to shop, play the game, line up for the parade, visit Santa, watch the Balloon Glow, and help us to create a huge and fun Edgewood Tradition! call Madeline at 850-2523 for more information. Jerry Guziel, Anne House, Tracy and the Edgewood Police Department, Robin Prudencio. of the committee and the Chamber. MONDAY DEC 3 IS LAST DAY TO NOMINATE. We will be holding both electronic and in person voting on the second Wednesday in December. In person voting will take place at the monthly luncheon on December 12. Bring completed form to the Edgewood Chamber office by 3pm Monday. at Founder’s Ranch owned by SASS. great event available in early December. Your committee is working hard to make this a fun-filled evening for everyone! We are presently accepting applications for Leadership Edgewood 2013. Stop by the office to talk about it if you’re interested. Only 20 persons will be registered in the class, Deadline for registration is December 17. The 2013 session will begin in January and will run on the THIRD Thursday of every month January through June. And another wonderful and informative year is being planned right now. Come see what radio in our area is all about! Potluck feast and silent auction. East Mountain Chamber of Commerce at Los Vecinos. Breakfast from 8:30 to 11:30am Admission is $3. for children and $5 for adults. Silent Auction, crafts for children, booths from local businesses and more. Holiday Craft Show at the Moriarty Civic Center on December 1 form 9am to 4pm, put on the Moriarty Chamber of Commerce. Hosted by the Moriarty Lions Club, Rotary and Chamber of Commerce. The Parade starts at 6pm and the lighting of the park will immediately follow. Looking for a gift that will please young or old? AVON products are a great gift for him or her…ages newborn to 99.
and receive 10% off all Bon Jovi products! Discounts good on personal deliveries only. What about the GasLand movie which was acclaimed and granted awards from different environmental organizations around the globe in 2010. Here’s an answer to the claims in the GasLand piece. 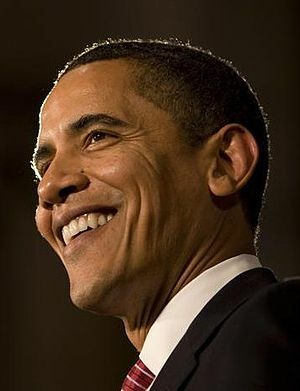 Is the fiscal cliff a $600 billion bluff by Obama? Should the GOP just give Obama whatever he wants? What if the President Isn’t Bluffing? An exhaustive review of 350+ pages of leaked emails regarding the Obama administration’s handling of the various green-energy loan and grant programs makes several things very clear: they lied, engaged in favoritism, and rushed application approvals to suit the political agenda of the White House. At the same time, worthy projects that went through a complete due diligence process were denied or ultimately withdrawn, as the lengthy approval process “taxed investors’ patience”—as was the case with Aptera Motors, which worked closely with the DOE for two years. Paul Wilbur, President and CEO at Aptera, didn’t think they were treated unfairly. He told me, “At the end of the day, we couldn’t get through the process.” But, he admits, he hasn’t read the emails. Aptera’s 100% US technology has since been sold to a Chinese company. Over the weekend, we had an exclusive interview, on condition of anonymity, with a senior official at XP Technology about the lawsuit and the experience. He reported: “Staff from within the DOE have provided evidence which is quite compelling.” As Aptera’s Wilbur made clear, the individuals within the DOE were very thorough. One of the emails, in the 350+ pages, was from Secretary Chu himself in which he criticized staffers for taking a “principled stand,” which held up the approval process of projects the White House wanted advanced. Another indicated that the pressure to rush was coming from “above the agency.” Overall, the emails show that projects were rushed so that announcements could coincide with visits, speeches, and photo ops—as well as providing talking points for the president. Our XP source told us “We experienced, and have been provided evidence of, applicant submissions and reviews being modified in order to benefit some and disadvantage others, and the business connections between the different parties associated with the ones that benefited is quite extraordinary.” The leaked emails support this accusation, specifically regarding the “business connections.” In her post, Lakatos calls it “green fraternizing.” The emails show that certain applicants and decision makers went bike riding together, had coffee meetings, sleepovers, beer summits, parties, dinners, and fundraisers. 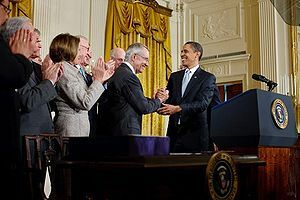 While he didn’t provide us with a name, the XP official said, “We experienced a senior senator blockading our efforts and then providing favors to a competitor, which then benefited his family financially.” The discovery the law suit will provide will expose the “senior senator,” but our previous research shows that Senator Harry Reid’s actions seem to fit the XP official’s comment. Time, the lawsuit, and subsequent investigation will tell. While the House Oversight Committee has been digging deeply into the mismanagement and corruption of the green energy loans, the media has paid little attention. Other than our report, the October 31 release of the emails cited here received virtually no news reporting. Even the Fox News Channel ignored the story. The plight of promising companies like Aptera and XP Technology would have gone unnoticed if not for the lawsuit. The legal complaint attracted attention. On November 19, Lakatos, whose work is listed as “evidence” in the legal complaint, received a call from Fox News’ Gary Gastelu—who reported on the story on November 20. The next day, Fox News covered the lawsuit on America’s Newsroom. Even the Drudge Report picked up on the story. XP has a litigation website on which the company states: “The case has nothing to do with complaining about not getting the loans. It has everything to do with HOW the applicants didn’t get the loans!” They are communicating with other applicants about participating in the lawsuit. The XP story and subsequent media coverage offers a lesson for others—especially industries who have been wronged by the Obama Administration’s practices (such as energy). The lawsuit may—or may not—send officials to federal prison, as our XP source suggests, but it could go a long way to winning in the court of public opinion. Has The Department Of Energy Been Playing Electric Car Company Favorites? 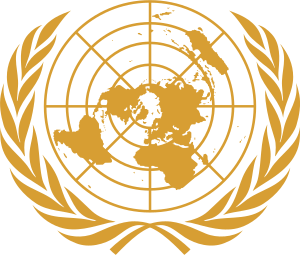 Hardly a day goes by that we don’t see the United Nations’ desire to take more power and leave this sovereign nation with less freedom and control over its destiny. If it isn’t Agenda 21, then it is a plea for more money to support despots, communist regimes and those government masquerading as supporters of civil rights.. The latest scheme involves taking control of the Internet. If we have a single brain cell, we will fight such nonsense with all the muscle we have left. Don’t count on your national administration to do anything effective to prevent such a takeover. week in review After public criticism of a proposal that would let government agencies warrantlessly access Americans’ e-mail, a prominent senator says he will “not support” such an idea. Sen. Patrick Leahy has abandoned his controversial proposal that would grant government agencies more surveillance power — including warrantless access to Americans’ e-mail accounts — than they possess under current law. The Vermont Democrat said on Twitter that he would “not support such an exception” for warrantless access, a few hours after a CNET article disclosed the existence of the measure. Leahy’s proposal would have allowed over 22 agencies — including the Securities and Exchange Commission and the Federal Communications Commission — to access Americans’ e-mail, Google Docs files, Facebook wall posts, and Twitter direct messages without a search warrant. It also would have given the FBI and Homeland Security more authority, in some circumstances, to gain full access to Internet accounts without notifying either the owner or a judge. Fury erupts over Sen. Patrick Leahy’s bill on email privacy; Update: Leahy scraps bill? Did Sen. Leahy already flip-flop on his warrantless e-mail surveillance bill? Gadabout-blogalot.com does not claim any copyright ownership to the websites or other links on this website. – The only purposes for featuring these websites on Gadabout-blogalot.com are (a) to expand the collective human knowledge base by sharing important information, and (b) to enhance our country by highlighting important issues. We believe we are doing this in the spirit of the copyright owners’ original public upload, which was made to a major global video-sharing website, and which was enabled for embedding on external websites such as Gadabout-blogalot.com. If you own the copyright reflected on this website, and would like us to remove it, please email us. 17 USC 107 ? FAIR USE DOCTRINE: Notwithstanding the provisions of sections 106 and 106A, the fair use of a copyrighted work, including such use by reproduction in copies or photo records or by any other means specified by that section, for purposes such as criticism, comment, news reporting, teaching (including multiple copies for classroom use), scholarship, or research, is not an infringement of copyright. In determining whether the use made of a work in any particular case is a fair use the factors to be considered shall include? Every so-called climate scientist is trying to sell his or her explanation for the cause of Sandy and other huge storm systems. And as usual, humanity is touted more times than not as the primary cause. Here’s a short video that say otherwise. Conservatives have many things for which to be thankful. Ten of those things happen to be people who worked hard to help conservatives understand the sacrifices needed to win conservative battles across our nation. That we were not as successful as we would have liked, the reasons can be seen, and hopefully understood, we will continue the battle to bring this nation back in line with our constitution and away from a form of government alien to freedom loving Americans. Please follow the link below to read about those who made a difference at some point during the previous four years.